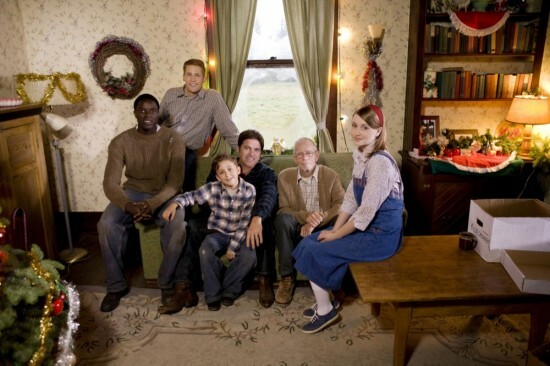 Holiday Themed Movie for Hallmark during Christmas-time. 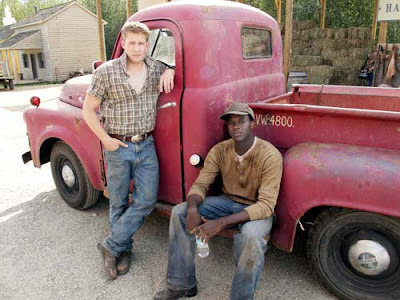 In the rural town of Canaan, Texas, a clash between two classmates – one, a tough farm boy, and the other, a bright bookish black boy – evolves into an unlikely friendship. The boys’ families devise a plan to teach them a lesson after they fight, but it is a wounded puppy that eventually brings them together. It is amidst the magic of Christmas that the boys learn about family, hope and love despite living under the shadow of racism. Christmas in Canaan opens with this narration: the Bible says Canaan is the promised land, and the joke in this Texas town is that the bank has the promissory notes to prove it. Based in the 1960s, this story is about the lives of two families - one white and the other black. Through Christian love, we see the two families come together, even though the world would tear them apart. This movie stands strong on Bible principles. Prayers spoken throughout are said in the name of Jesus. There are strong messages about loving God and loving your neighbor. This movie is a great history lesson for children - because it shows the struggle of the black people during that era. Although, please note, there is some violence in this movie... a dog is shot and wounded- however, two young boys - one white, D.J., one black, Rodney- work together to save him. Earlier, these same boys had an argument on the school bus. D.J. 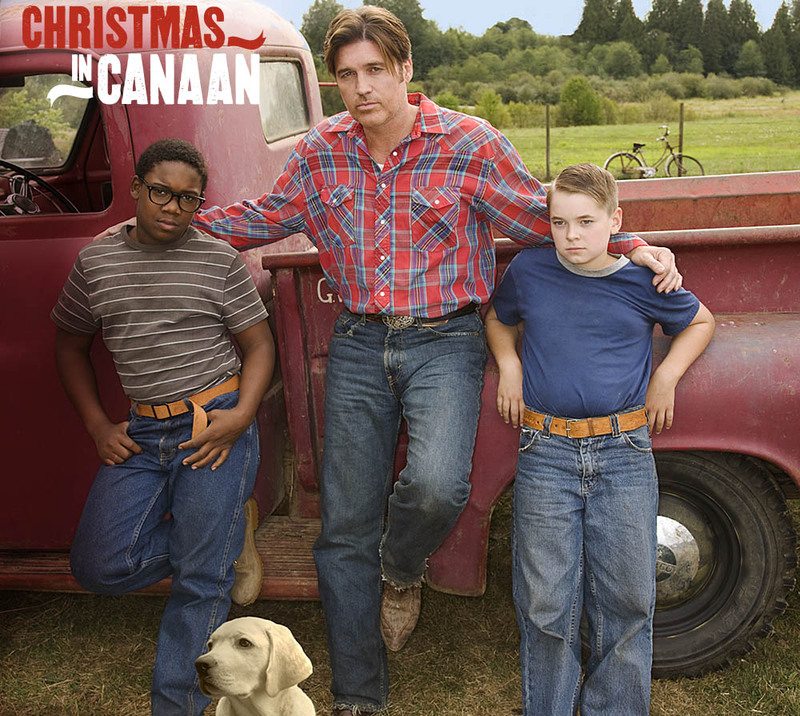 's father Daniel Burton, (Billy Ray Cyrus) didn't want his son to grow up to be a bigot, so he worked out a deal with Rodney's grandmother, Eunice, for the boys to live in each others home for a week. This created their bond. When Eunice passed away, Rodney was a teenager, and Daniel immediately asked Rodney to come and live with their family, in spite of his father-n-law protesting. Election time rolls around. Rodney is torn between his devotion and love for the Burton family and the Civil Rights Movement. African American Voters gather together at a tent meeting. Town bigots, Carl and his son, firebomb the tent and take off in their truck. On their way out, they hit Daniel's youngest son, Bobby. He had rode there on his bicycle to warn his friend Rodney and the others. Bobby is taken to the hospital, his leg is injured, but he recovers. This drama is intense, heartwarming, and realistic. 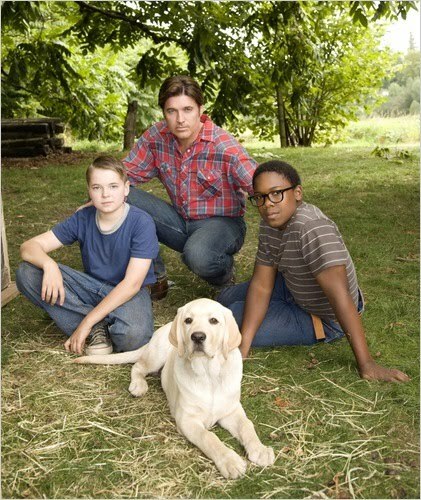 Billy Ray Cyrus is wonderful as the Father and all of the children are fantastic, too... you are instantly drawn into their characters and family life on the farm. Two Christmases are shown during the course of this movie. The first is when the children are all still at home and Rodney is living with them, too. They don't have much, and yet the Father has decided to give them pictures from the Sears catalog of what he would like to get each of them. It's a beautiful scene... each one is so full of love for their father, even though they had so very little- they were grateful to have each other, love, family, and hope! The second Christmas shown... is at the end of the movie. The children are all grown and the grandfather has since passed away. Rodney asks them all to meet him and since he has become a succesful writer, due to the Burton families encouragement many years before, he gives them each the gifts that were in the pictures from that old catalog years ago. It's such a precious moment, and it's easy to see that they are more thrilled just to be together than anything! Rodney has also promised Daniel that he will get the best medical help for Bobby with his leg. It's such a beautiful story of a family - that doesn't see color... only the love of Christ. See, it's an inspiring family movie. Labels: Billy Ray Cyrus, Christmas 2009 Movies, Christmas in Canaan, Christmas Movie, Hallmark Channel Movie, TV guide, TV Schedule, When is on tv? 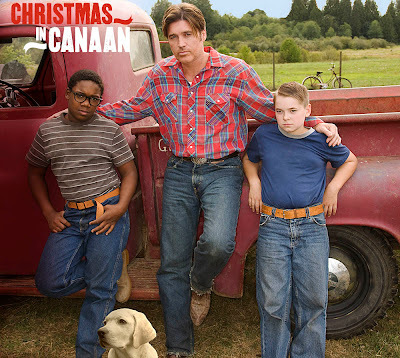 Oh, thank you, Hallmark, for your beautiful story "Christmas in Canaan". It is so great to see Billy Ray Cyrus, doing what he does so well...being himself. I have enjoyed him from the start, both as a musician and as an actor. Still watch the reruns of "Doc". It is my hope that Hallmark will make more movies starring Billy Ray. He certainly exemplifies 'good down-home family living' and we surely could use more of that! Merry Christmas to all of you at Hallmark! I would really love to know what kind of jacket billy ray was wearing in the christmas comes home to canan my dad really loved it and i would like to get him one!! i need to find out what kind of jacket (brand and style) billy ray was wearing in christmas comes home to canan.